Located East of Rt. 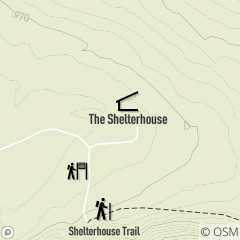 91(SOM), Half of The Shelterhouse is available to be rented for your party or gathering. This open sided shelter offers picnic tables, grills, and 2 fire places. Shared use features include a swingset, a large field, horseshoes, Parking and a Restroom Facility. Availability: Back east half is reservable May - October, Sat. - Sun. only, otherwise is available on a non-exclusive, shared-use basis.